Former Masters champions Patrick Reed and Danny Willett stormed into a share of the lead on the penultimate day of the DP World Tour Championship in Dubai. American Reed hit a smooth 67 before Englishman Willett came home in a gutsy 68 with both finishing clear on 14-under. Meanwhile Italian Francesco Molinari is almost guaranteed to win the Race to Dubai title after Tommy Fleetwood, the only man who could catch him in the quest to be Europe’s No. 1 at the season-ending event, dropped down the field with a 2-over par 74. 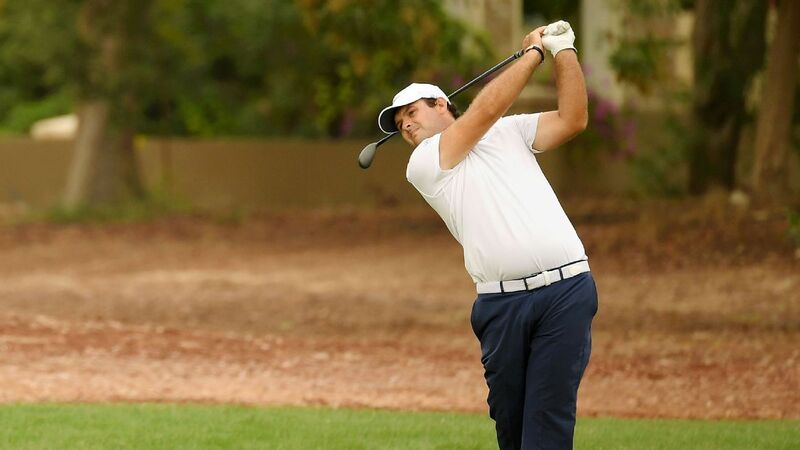 Both Reed and Willett took big steps towards their first tournament victories since donning the Green Jacket at Augusta in 2018 and 2016 respectively. Reed began the day in the chasing pack and stayed in contention on the front nine despite a bogey on the 4th. He gained momentum later in the day, putting cleanly for with a string of birdies on the 11th, 13th and 14th to move into the outright lead and another gain on the 16th gave him a two-shot advantage. In the final pair Willett, who picked up two shots on the front nine, recovered from a bogey on the 12th with three consecutive birdies at the 14th, 15th and 16th — the last coming from an exquisite 25-foot left-to-right putt — to finish the day tied at the top. Rory McIlroy is set to give up European Tour membership in 2019 to focus on the U.S. PGA Tour. Fleetwood began his round knowing he could still win the tournament, something he had to do to unseat Molinari to have any chance of taking the Race to Dubai title. But last year’s champion failed to find a single gain all day and dropped shots on the 10th and 17th to fall back to 6-under, a shot ahead of Molinari who hit an inconsistent 70. Both players have shown fatigue in this final tournament of the season but it is now all but certain Molinari will end the season as Europe’s No. 1 player. Elsewhere Jordan Smith is one shot back on the leaders but missed chances to take control at the Jumeirah Golf Estates, coming close to eagle on the 2nd before sandwiching two birdies on the 7th and 8th with bogeys on the 6th and 9th. Nonetheless a timely birdie on the 18th lifted him clear in third on 13-under. Lee Westwood hit the joint-best round of the day with a 65 to move into contention a week after winning his first European Tour tournament in four years. He began with four birdies in the opening five holes and took further chances at the 11th, 13th and 14th in a near-perfect round. Alongside the Englishman on 12-under is Friday’s overnight leader Matt Wallace, who also flew out of the traps with three consecutive birdies but dropped back after finding a fairway bunker and three-putting for a double bogey at the 8th. South African Dean Burmester joins the English pair after he hit a solid 68. Spain’s Adrian Otageui was consistent until a final hole bogey left him on 11-under with Tom Lewis, who carded a 67 to make it into the running ahead of the final round. Rory McIlroy saw his chances all but disappear after he found the water from the 17th tee, ending five shots back on 9-under.